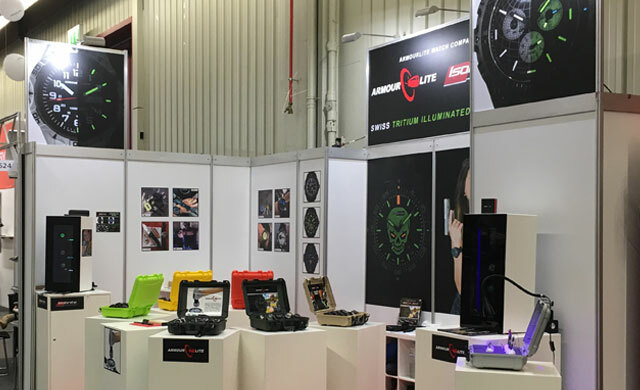 ArmourLite Watch Company is an American company that designs, assembles, and tests watches in the USA. 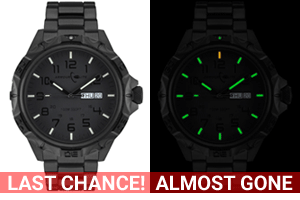 We make the world's TOUGHEST and BRIGHTEST tritium illuminated watches! 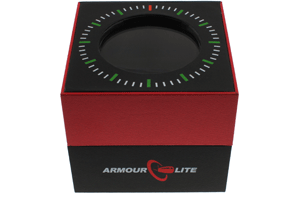 Most of the ArmourLite watches feature our ultra tough shatterproof Armourglass crystal. All Isobrite models come with Swiss T100 tritium illumination, the world's brightest. A lot of companies claim to make “tactical watches.” However, no other watches come close to the toughness and brightness we offer. 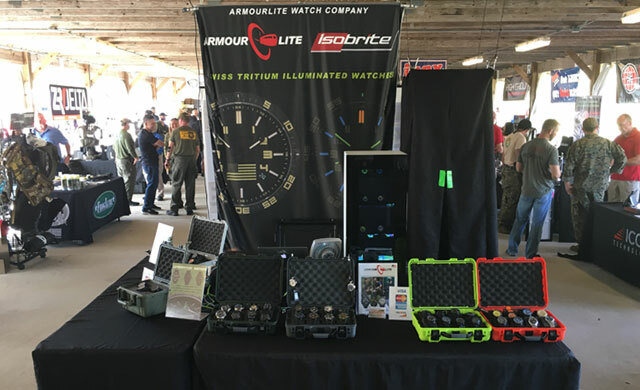 Our ArmourLite tactical watches feature our ultra tough shatterproof Armourglass crystal whereas our Isobrite tactical watches come with Swiss T100 tritium illumination, the world's brightest. Whether you aspire to be the next deep diving Jacques Cousteau or you simply want to explore the shallow reefs, these watches are ready to go down with you! 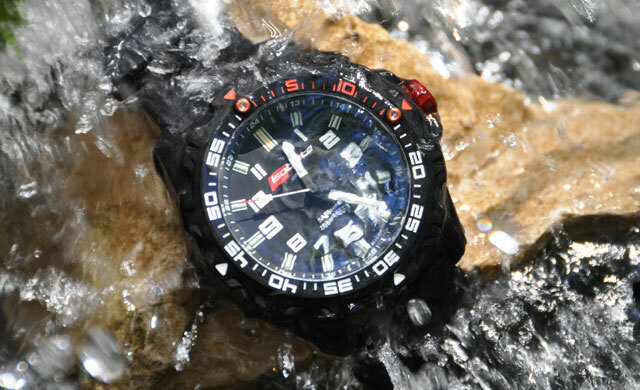 A true dive watch needs to survive meters of water pressure. These watches are all rated to at least 200 meters. Dive dive dive! Chronographs are great for piloting airplanes and space shuttles, car racing, diving, and submarine maneuvering. If you’ve done all these things, we want to meet you! Anyways, when you need to make rapid calculations and conduct precise timing, our chronographs will come in very handy! Ready, set, go! How many times a day do you have to charge your phone? If only Apple and Samsung could use the same battery-free technology we use in our automatic watches! 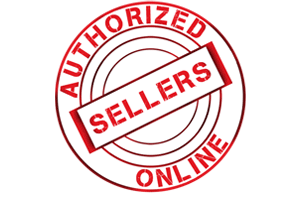 We proudly use the most reliable mechanical movements that keep on ticking forever and ever. Live battery-free! If your adventure involves camping, hunting, or overlanding, our field watches are ready to come along! These watches are the embodiment of simplicity, durability, legibility, and functionality. The dials have big easy to read numbers. Plus, you get the superior protection of our shatterproof ArmourGlass crystal that can withstand up to 6,000 Vickers. Men, you know those times when your wife or girlfriend wants you to dress up? 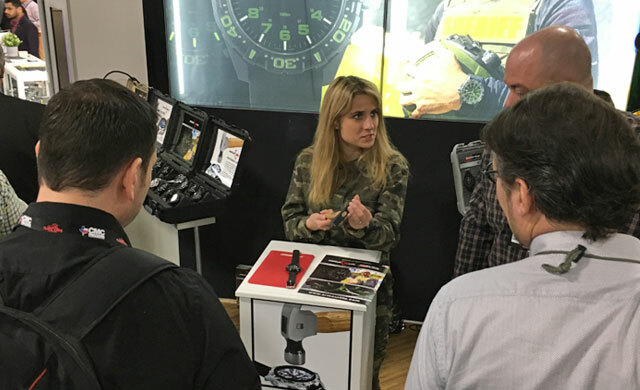 Problem is that you want to wear your badass ArmourLite or Isobrite tritium watch but she tells you that it doesn’t go with your nice outfit. We’ve got you covered with the world’s only wife-and-girlfriend-approved tritium watches! Swiss tritium illumination involves extremely tiny glass tubes that are filled with tritium gas, an isotope of hydrogen. The insides of the glass tubes are first coated with phosphorescent paint. The tubes are then filled with the tritium gas and laser sealed. The electrons of the tritium gas inside each glass tube continuously react with the phosphorescent paint resulting in a radio luminescent light source. The electrical reaction of this chemical process makes the phosphorescent paint glow constantly for up to 50 years. No external power source or charging-by-light is necessary to maintain the glow. The glow is completely self-powered. The T25 and T100 designations refer to the combined amount of tritium gas that is hermetically sealed in the glass tubes in a watch. 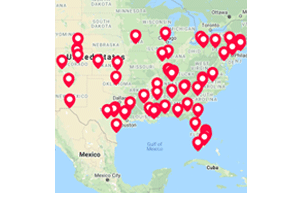 T25 watches have up to 25 mCI (millicuries) of tritium gas in the watch whereas T100 means there is up to 100 mCi of tritium gas in the watch. 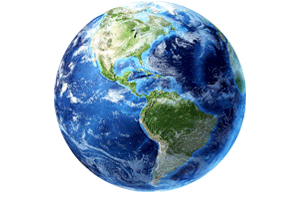 T25 is found in the majority of tritium-illuminated watches. 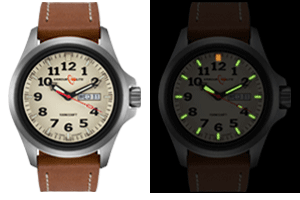 Since the Isobrite T100 watches hold more tritium gas than the aforementioned T25 watches do, the higher volume of gas results in more electrical energy being created. More electrical energy results in much brighter visible illumination. The best way to experience the difference in brightness is to actually compare a T25 watch versus a T100 watch in the dark. 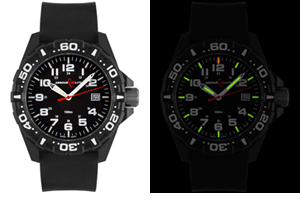 T100 represents the latest technology in tritium watches and makes seeing the time in the dark much easier on the eyes. When transitioning from a bright environment to a dark environment, it takes the eyes time to adjust. With the increased visible brightness of T100, the transition is much easier on the eyes. Plus, as a person ages and the eyes don’t see as well, having T100 means the time can still be easily read in the dark. 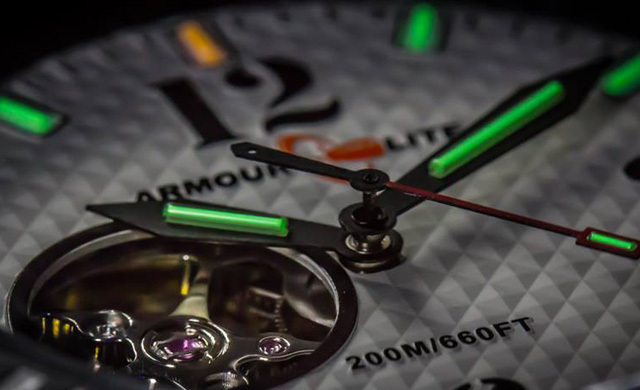 ArmourLite and Isobrite watches have tiny glass tubes that are filled with tritium gas and then hermetically sealed. The electrons of the gas continuously react with phosphorescent paint resulting in a radio luminescent light source that glows constantly. No external power source or charging-by-light is necessary to maintain the glow. The glow is completely self-powered. Our watches feature rugged case construction. Some of our watches feature cases made out of 316L stainless steel. This kind of steel is most commonly used for watches and jewelry, as it is extremely durable and anti- corrosive. The rest of our watches feature carbon fiber reinforced polycarbonate cases. These cases are ultra lightweight and extremely durable. Everyone from military and law enforcement personnel to first responders and extreme outdoorsmen rely on our watches. 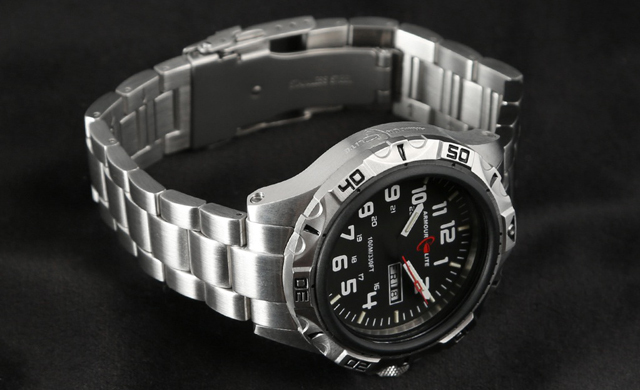 The watches have been used in all kinds of conditions ranging from freezing cold to extreme heat. There are few limitations when it comes to where these watches can go! We are also very proud and honored that our watches are now used by some of the most elite Operators of the United States Armed Forces.